This solid 1929 home still has many of its heritage feature. 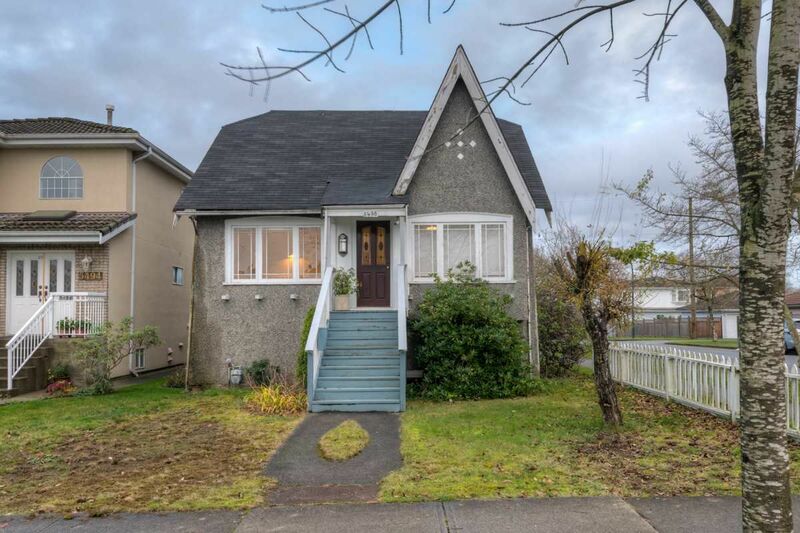 Inlaid hardwood floors, colourful leaded picture windows, many original multi-pained windows and a decorative fireplace with mantle and hearth that has been retrofitted with an electric fireplace. Two good-sized bedrooms above the main and one bedroom on the main floor and a dedicated dinning room. Excellent rental condition. Strong building lot with good laneway home potential. 33' X 122' corner lot. Walking distance to transit shopping and schools.